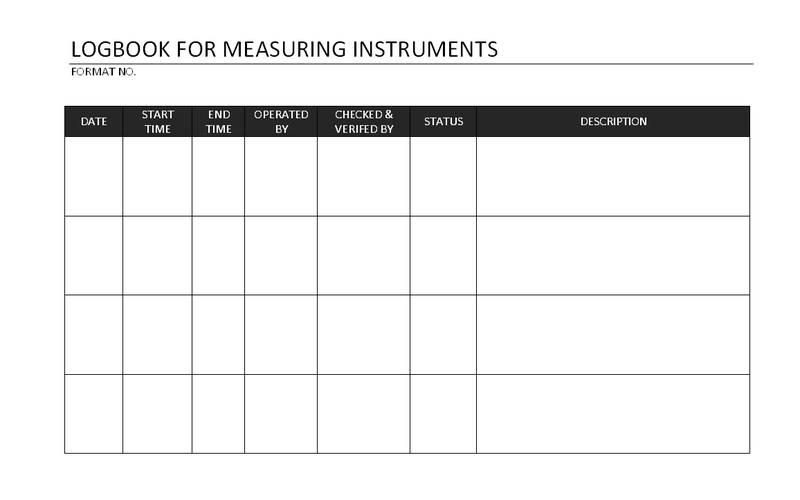 Date of measuring instrument Start time to checking and verification. Start time and End time of the measuring instrument checking & verification operation are performed. Checked and verification by – Name of the person who had performed the task of checking & verification. Status of the measuring instrument by result raised after checking, inspection and verification of the measuring instrument by inspector. Description – Full information of the measuring instrument checking and verification details, instrument details and others important information with comment and suggestion for measuring instrument.